In the early noughties, I had what I considered to be a cool idea for a t-shirt design. 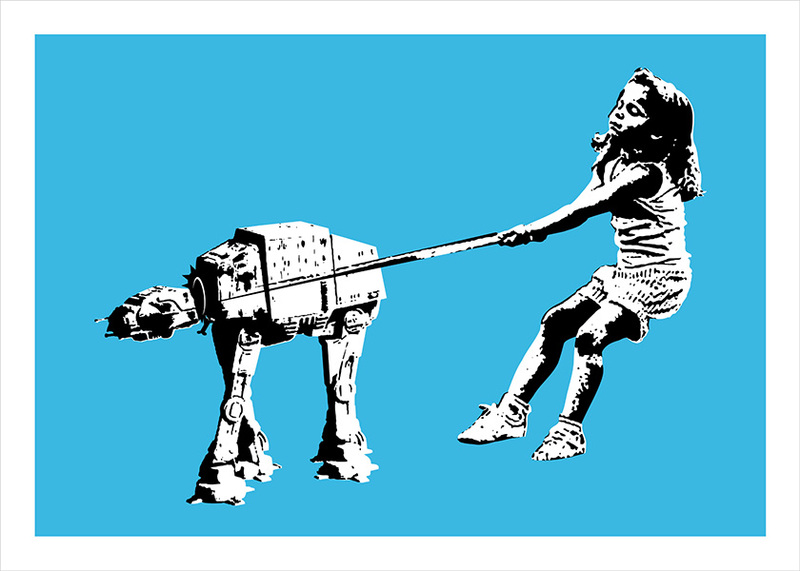 That idea, of a young girl taking a Star Wars ‘At-At’ walkies, became one of my first stencils and a gateway into the early days of the street art scene. It went on to be my first screen print edition, released through the legendary Pictures On Walls (RIP) and was, at the time, their fastest selling release, knocking Banksy from his perch, if only for a short (but glorious) time. In the years since, street art has evolved into a very different beast, but I’m proud that those Shat-At stencils and the prints that followed have become an iconic part of the beginnings of a movement. 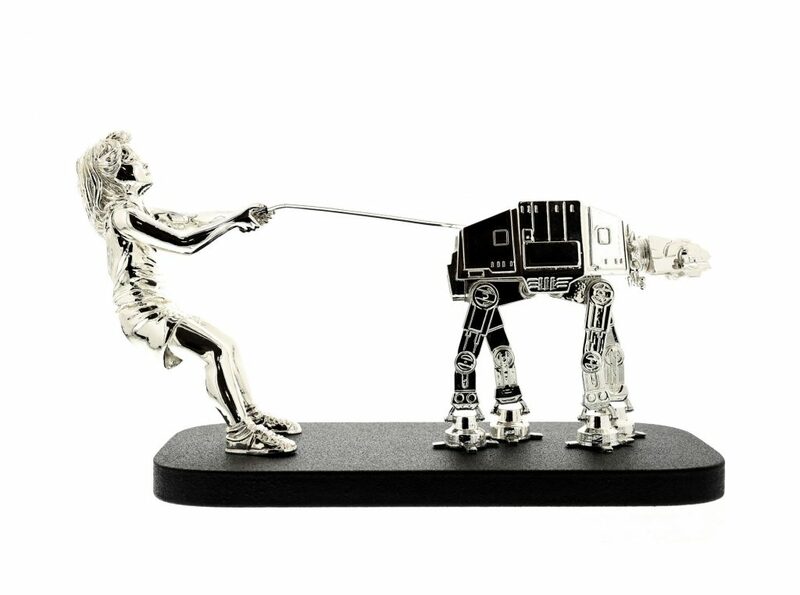 To commemorate this, I’m really proud to present a 3D version of Shat-At, cast in resin and available in 3 very limited editions. Each piece will come in it’s own bespoke wooden crate with stencilled side panels and laser etched lid. All 3 editions will go on sale this Thursday 28th at 12pm BST with Art Republic.